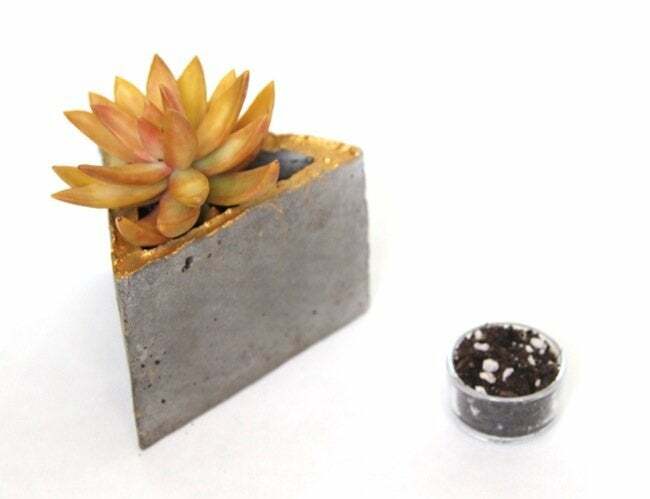 If you want a modern-looking planter, concrete is a DIYer's best friend. But this tutorial takes it to the next level by mounting your plants on the wall. 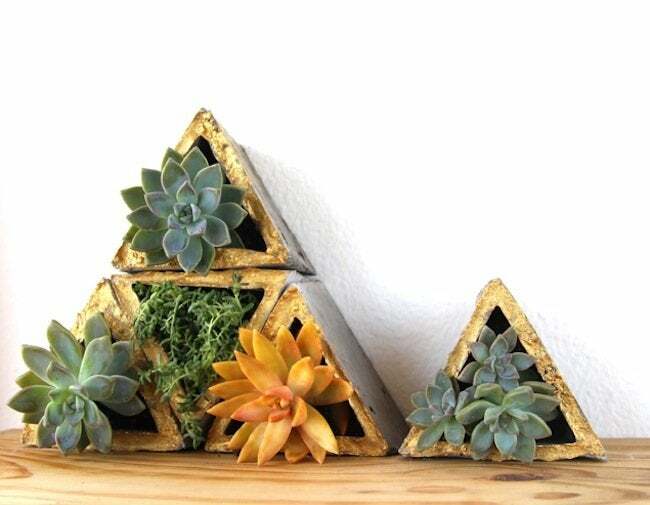 These concrete modular wall planters made by Ananda at A Piece of Rainbow are the perfect geometric accent for the modern home. 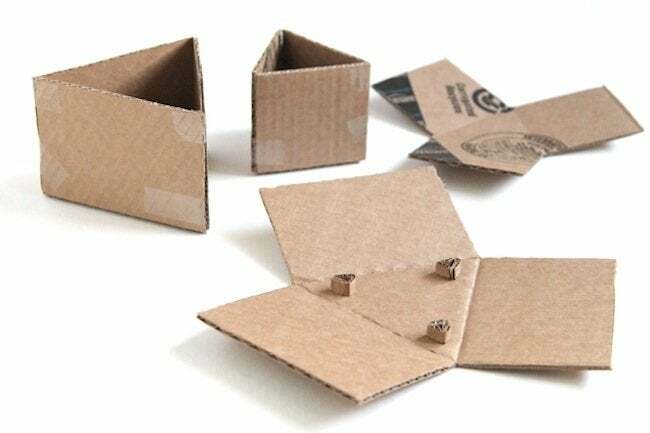 And with a little know-how and a dose of patience, you can recreate them on your own. Simply follow the instructions below and you’ll have the beginnings of your own living wall to hang in your bedroom, bathroom, or anywhere else you please. 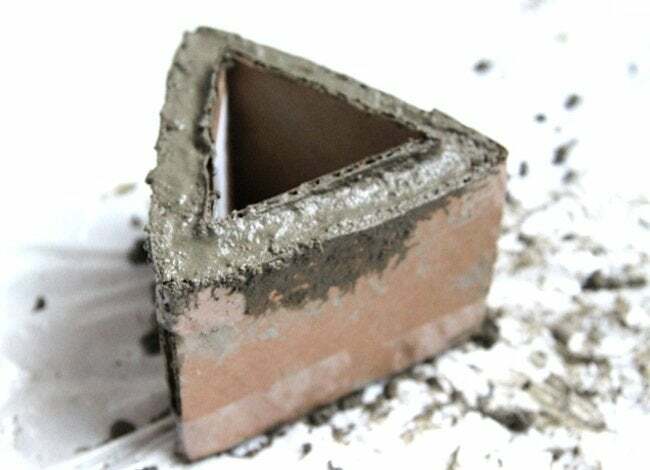 Pour the mix into the outer mold till it’s level with the triangular pieces, then place the inner mold inside, making sure it is centered. Pour the walls using a popsicle stick to help pushing the mixture down. Let the planters stay in the molds and cure for at least 3 days by misting them daily and wrapping them in plastic bags. This is a very important step to ensure that the concrete hardens as much as possible so they don’t chip or break. The more moisture you can keep in the plastic bag the better. After day 3, take the planters out of the molds. 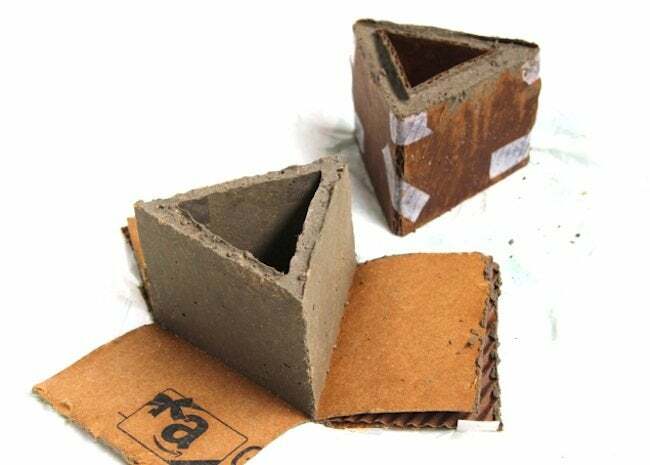 Since concrete is very alkaline and that can be a set back for plant growth, soak them in a tub of water for a day and let dry. I decided to paint the edges with gold acrylic paint for an added sense of mystery. Now we are ready to plant. Succulents are great because they are easy to care for. Give the plants a couple of weeks to form roots that hold the soil in, and now we can hang or stack these planters to create our own mini vertical gardens! 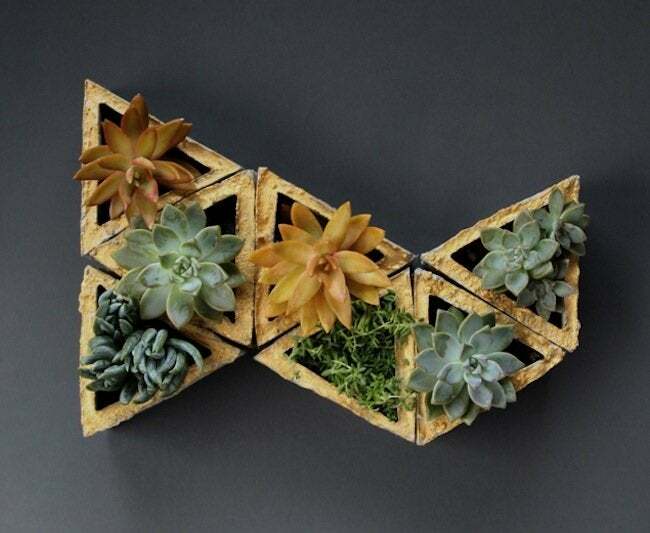 To create a pattern on the wall, use the template to mark where the 3 openings on the bottom of each planter are, and use 1 or 2 nails/screws for each planter depending on the pattern you want to create. Thanks, Ananda! For even more amazing tutorials, visit A Piece of Rainbow.